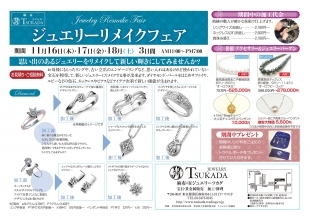 This is our first attempt, but we are planning to do a jewelry remake fair. 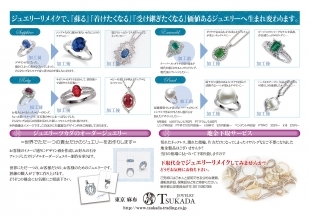 We also have sample frames for remake of popular dancing stones on TV commercial during the period so you can actually see it for your hands. 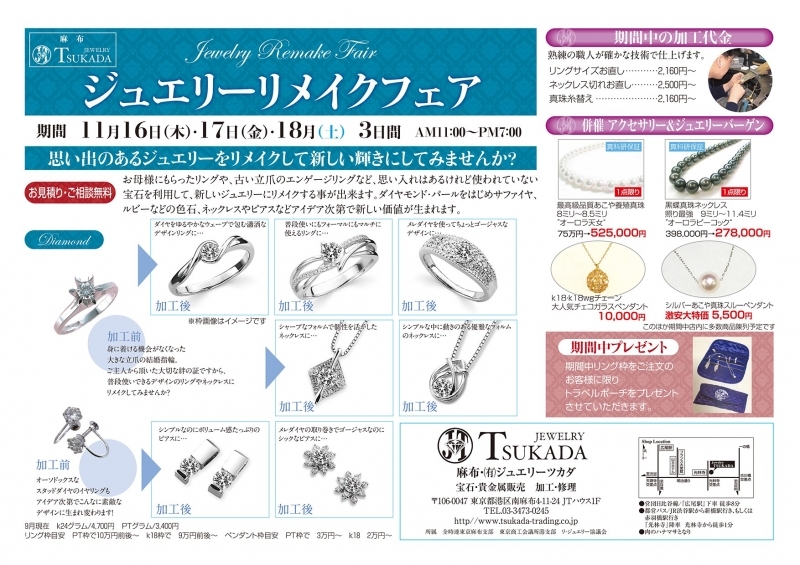 We are waiting for customers visiting us. Customers who are considering repair / remake should certainly come and visit this opportunity. 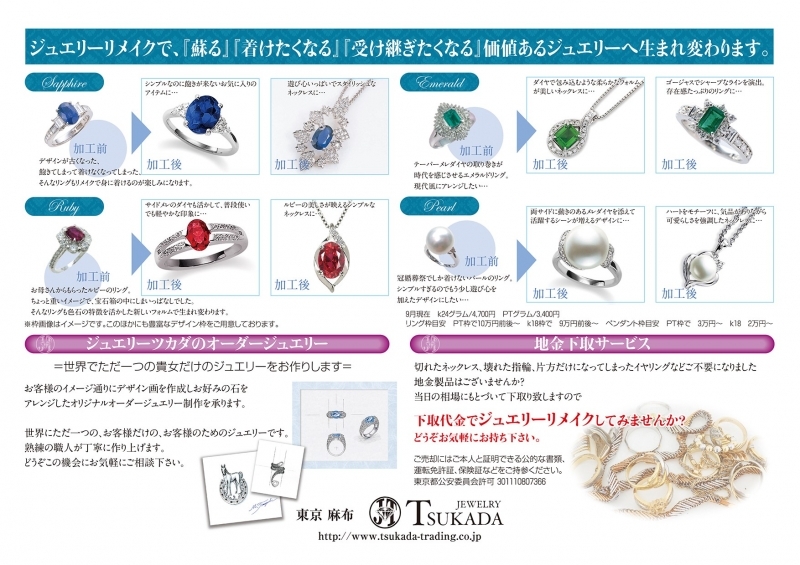 Customers who remake the ring frame will receive a jewelry pouch.